"Neither snow nor rain nor heat nor gloom of night stays these couriers from the swift completion of their appointed rounds." The unofficial creed of United States Postal Service reminds us the Postal Service doesn't stop, even in the face of a challenge. For the USPS, business continuity is never optional. The USPS processes more than 150 billion pieces of mail each year! And, in today's digital age, more people than ever are purchasing holiday gifts online, creating a boom in shipping needs from Thanksgiving to the New Year. But this boom has the potential to create logistical challenges. When the USPS realized their forecast predicted more pieces of holiday mail than originally expected, their preparation for upcoming shipments needed to change--fast. The USPS decided to contact Mahaffey Fabric Structures to create additional on-site space and storage for several Houston, Texas post offices that would help with the overflow of packages during the busy holiday season. Ten post offices in the Houston, Texas district were experiencing large package volumes and were not able to accommodate the excess due to limited floor space. Overcrowding in work areas congested with cases, packages, employees, and rolling equipment placed the Postal Service in a problematic position in regards to employee safety and customer satisfaction. The USPS needed a solution to provide more space and to protect parcels from the elements. 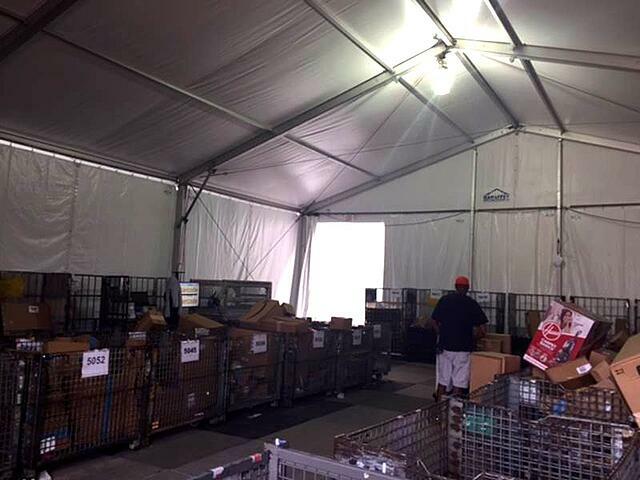 Ten 40' x 50' Mahaffey temporary warehouse structures were the perfect solution to accommodate the USPS's seasonal needs. Four-meter legs and high eave walls provided plenty of height (and storage space) for the excess packages. Detailed oversight by Mahaffey’s experienced Project Managers ensured structures were installed in a timely manner to meet the needs of all ten locations. Mahaffey's rapid response and right solution not only increased productivity, the additional space prevented facilities from being overrun with parcels, creating a safe and efficient work environment. Whether your expansion is long term or seasonal, temporary structures are ideal when your company needs more space. 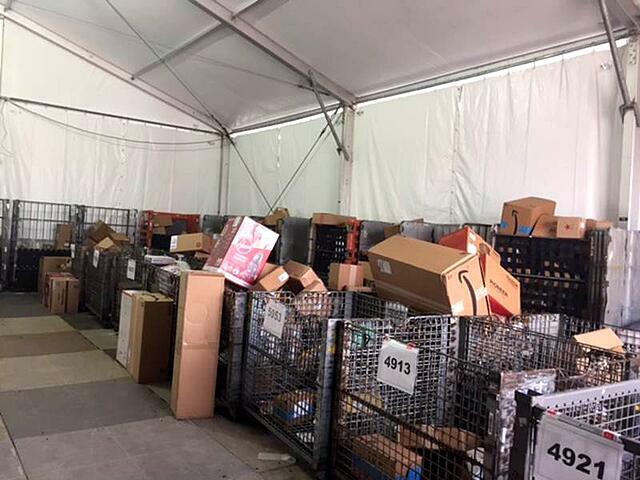 In the case of the USPS, temporary warehouse structures were a holiday miracle, ensuring packages made it to their final destinations on time. What are you waiting for? Contact us today to learn how temporary storage facilities can create flexibility for your ever-expanding operations.